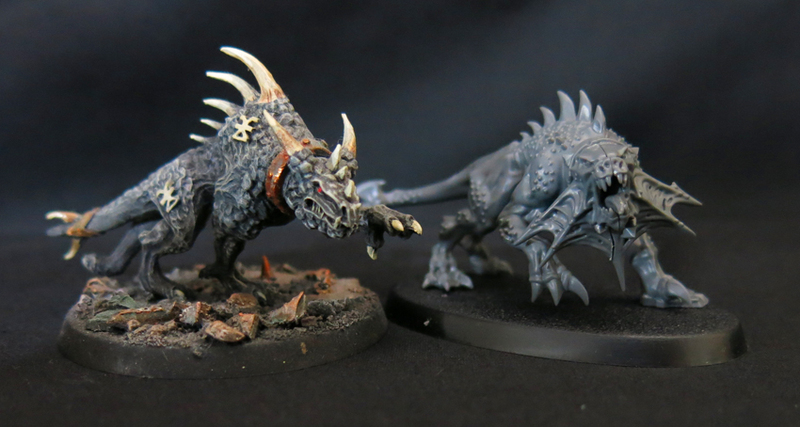 Last weekend saw the long-awaited release of new plastic squigs from Games Workshop. Formerly part of the Orcs and Goblins range these crazy little beasts have now found a home amongst the Gloomspite Gits, a re-imagining of the old night gobbos in the Mortal Realms. As a long-standing fan of greenskins in general and squigs in particular it’s fair to say that I’ve been looking forward to this release since long before the models were even sculpted, let alone announced. Having got my hands on them* I wanted to take the opportunity to share a few thoughts regarding my early impressions – illustrated with a few moody and atmospheric black and white images to compensate for the fact that I haven’t painted anything yet. *I know I have plenty of other things to paint at the moment, and I know buying new models when I haven’t painted what I have is profligate, but how could I resist after dreaming of them for at least a decade? The new Gloomspite Gits are an interesting proposition. Despite it being three years since the arrival of Age of Sigmar this release would have fitted quite comfortably into the Old World of Warhammer. Previously Age of Sigmar releases have either been entirely new races, such as the Stormcast Eternals or the Idoneth Deepkin, or have evolved old races into new forms, such as the Daughters of Khaine or the Sylvaneth. Sometimes models for this latter group would have fitted in well in the Old World, and some might even be effective proxies for older units – like Ironjaw Brutes as Orc Big ‘uns, but never have we seen such comprehensive coverage of models widely desired for an old Warhammer army as part of an Age of Sigmar release. Long before the End Times, before Nagash returned and with the Stormcasts no more than a games developer’s fevered imaginings, people were crying out for new squigs. Having waited all these years for a nice plastic kit for the squigs (surely always a glaring gap in the Games Workshop roster) I found myself giving in to temptation and snapping them up as soon as I could. Acquiring them however has led to considerable food for thought. Many old school players will be rejoicing at the opportunity to add this iconic creature to their Orcs and Goblins armies but with the scale of many GW models creeping larger every year will these newcomers even fit on an old 20mm square base? They, at least, can relax, the answer is a firm “yes”. Indeed although many things have become bigger over the years the boisterous squig remains roughly the same. For myself I’m still debating exactly what to do with my newly acquired squigs. Long ago I started to build a Night Goblin army for WHFB and last year I actually got a sizeable chunk of it painted. When I painted the army last year I threw in a handful of squigs but left the squad incomplete in the hope that sooner or later more would come bouncing along. All too often such manoeuvring proves to be wishful thinking but this time it seems I guessed right. As squigs were always intended to be a part of that army surely I should just pop the little beasts onto square bases and get painting. On the other hand however the style of base very much directs the game for which the model is intended. As it stands I’m unlikely to actually play with these, so the point is probably entirely academic. Nonetheless the idea of some AoS skirmish has a distinct appeal. In the unlikely event that I do ever decide to play some old fashioned Warhammer it’ll be my Skaven that hit the tabletop. 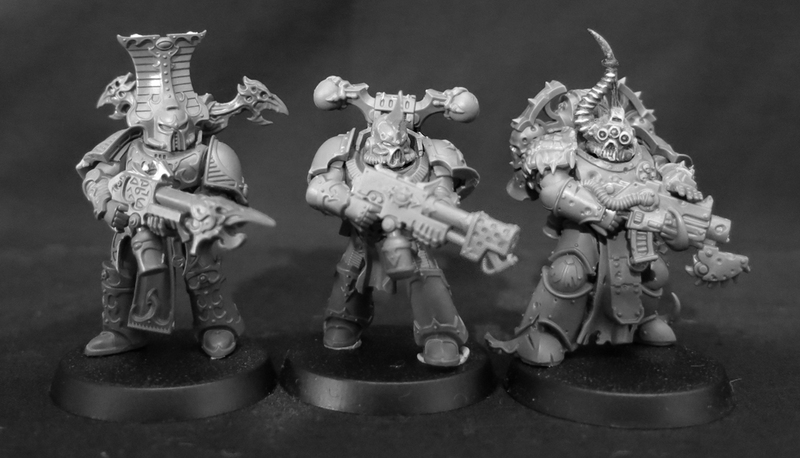 It’s also worth considering that despite the aesthetic punch which an old Warhammer army with its ranks of troops neatly defined possesses, a quality which no AoS army can quite capture, some models just don’t look as good in ranks. By putting them on round bases I’d be able to really enjoy and show off everything these dynamic models can do, rather than struggling to make the best of things and force them into ranks which they were never intended to form. After all “ranking up” was a rightly cursed aspect of old Warhammer, a chore which impeded miniatures design and made hobbyist’s lives a misery in equal measure, so burdening myself with it unnecessarily seems like foolishness. A release as long awaited as this was always going to be of key importance to GW. This was a chance to win over lingering WHFB sounds to the new world of AoS. Furthermore there must have been a temptation to indulge the freedom of the new realms to push the Night Goblins in new and crazy directions, an urge they have wisely resisted. The Night Goblins and Squigs have always been amongst the company’s most classic and iconic races and as the old saying goes “if it ain’t broke, don’t fix it”. 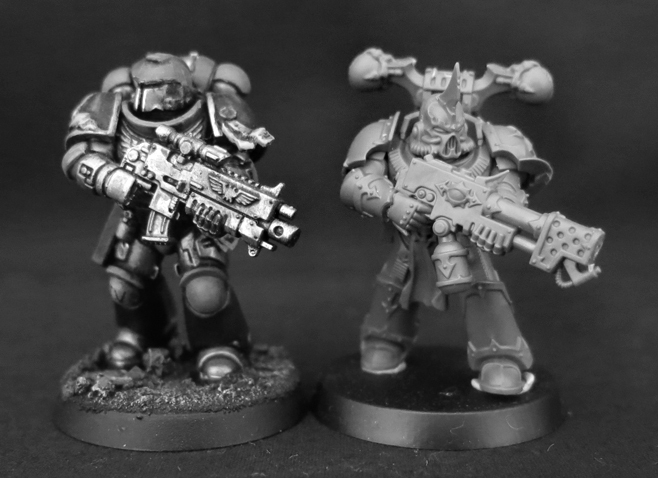 Look no further than the wailing and gnashing of teeth that accompanied the upscaling of the space marines, a range who’s undersized proportions meant it certainly was broke and did need fixed. On the other hand as a species so intrinsically associated with the Old World there was always a real danger that these little dudes would seem glaringly out of place amid the Mortal Realms. Luckily good models save the day. Just as the sudden availability of truescale marines made it easier for many of us to swallow the new landscape of 40k so too do Night Goblins in the Mortal Realms seem much more palatable when accompanied by these glorious new squigs. This is not to say that everything is just a rehash of the “good old days” however. New ideas have been brought in but they’ve done so in a way that sympathetic to the old. Take the new Boingrot Bounderz for instance. Again old school WHFB fans could use them as alternative squig hoppers (which the kit also makes) but there’s something irresistible entertaining about goblin knights. Picture, if you will, a whole court of them in full heraldic pageantry, with the squig hoppers as squires and a suitably deranged-looking king bouncing in the lead. Of course, in a process which will be familiar to all hobbyists, now I’ve thought of it I can’t stop thinking about it. Bretonnia may be gone but there is still room for a green knight or two. The only thing I’m not entirely happy out regarding these is the way they are held aloft on heaps of mushrooms. It’s just a little over the top for my tastes, although I stress that’s just a personal opinion, but it’s also rather tricky to do very much about it. The fungi are sculpted directly to the legs of the squigs, probably a sensible move when it comes to supporting the weight of the model but making it distinctly tricky to separate them. I did manage it with this one but, given what a faff it was, I don’t think I’ll be losing too much sleep over the others. The Night Goblins were always a race which combined spite and silliness with aplomb. there was an element of slapstick comedy about them that brought something uniquely enjoyable to their murderous ways. Whilst still clearly evil creatures this cheeky, quirky element put them in a class of their own, a long way from straightforward baddies like Chaos or the Vampire Counts, whilst their status as weak yet cunning distinguished them from the loutish Orcs. Again it’s pleasing to see that this trait lives on in their new iteration. Goblins of all kinds have always enjoyed seeing their mates suffering misfortune and goblin fans are no better. Can you imagine Stormcast fans universally applauding a model of a liberator being swallowed by a dracoline, as this poor little grot is gobbled up by a squig? 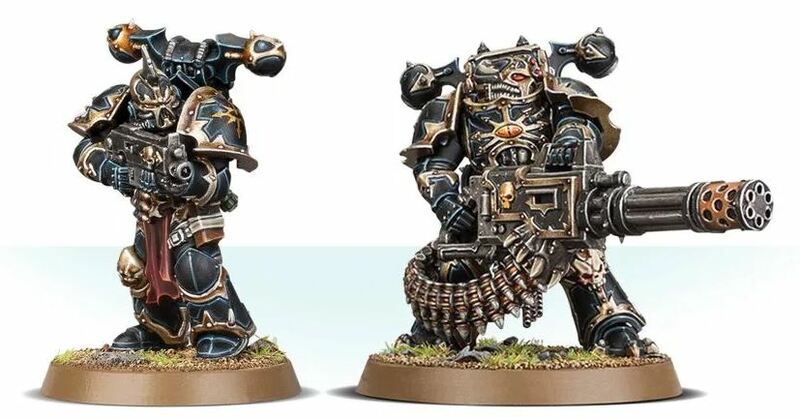 Amidst all this praise for the new models it would be remiss of me not to take a moment to mourn the passing of the Doom Diver from the range. It was a true icon of the old Orcs and Goblins army which seems not to have made the cut for a new model and has been quietly shuffled into retirement. Luckily for me I was given one a few years ago which will be joining my Night Goblins sooner or later. Likewise goblin wolf riders, a staple of many childhoods thanks to The Hobbit, have been shuffled off into the great dank cave in the sky. These days if you want to go riding into battle on a big bad wolf you need to be a power-armoured futuristic Viking with a questionable hair-do’s. Few things are as evocative of GW’s stable as Night Goblins and Blood Bowl, so I’ve also found myself pondering how the two could be combined, a subject I’ve found myself returning to lately following conversations with fellow blogger and blood bowl enthusiast Faust. So far I’ve only dipped my toe into it but as this combination of Blood Bowl player and the (now retired) Night Goblin Fanatics shows, there’s certainly room to create some alternative members for a diverse looking team. Once again though I’d like to emphasise that I have plenty of other projects I ought to be concentrating on so although these squigs and gobbos will definitely get a turn on the painting table it won’t be straight away. In many ways however this is a blessing. I’ve been thinking about what to do with a release like this for a number of years so I won’t be rushing into anything, but instead will be taking the chance to explore the models, see what other hobbyists do with them, and bounce a few ideas around before I commit to anything. At this point I often say watch this space but this time I’ll add don’t hold your breath as well. However if you have any suggestions, ideas or words of wisdom, I’m all ears. As the curtain falls on 2018 or (depending on where you are in the world and assuming you’re not reading this at the very moment of publication) the sun rises on 2019, it’s time to take a rambling look back at the year that’s past. 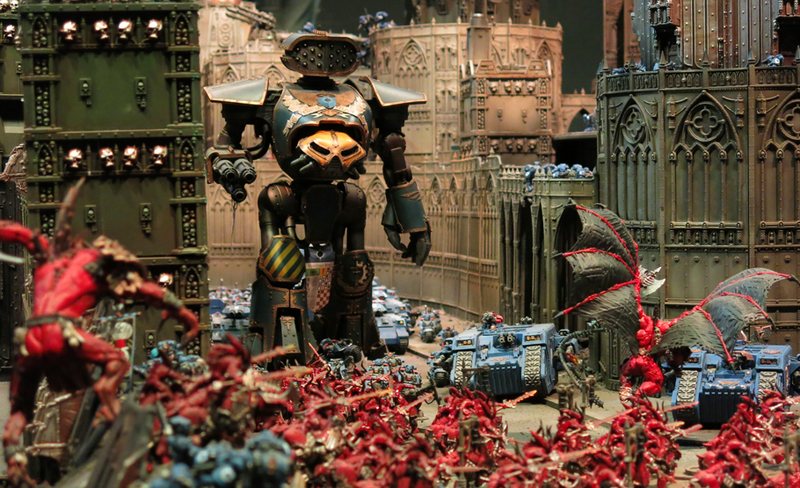 For fans of the various universes created by Games Workshop it’s been a packed twelve months. 40k has continued to grow into its post- Guilliman landscape and although at first I feared the impact a loyalist Primarch would have on the flavour of the setting I have to say I’m pleased with how things have developed so far. Guilliman himself, often maligned as the most boring of the Primarch (even by the other Primarchs), has developed into a strong character and may now hold the title of my second favourite loyalist (after the Khan of course). The reason this has been successful, in my view, is that GW have not forgotten the grim darkness which lies at the heart of 40k. Rather than allow Guilliman to become the super-heroic “good man” who saves the day at every turn, they’ve allowed the speck of light and hope he’s brought to the galaxy to emphasise how truly dire the setting truly is. 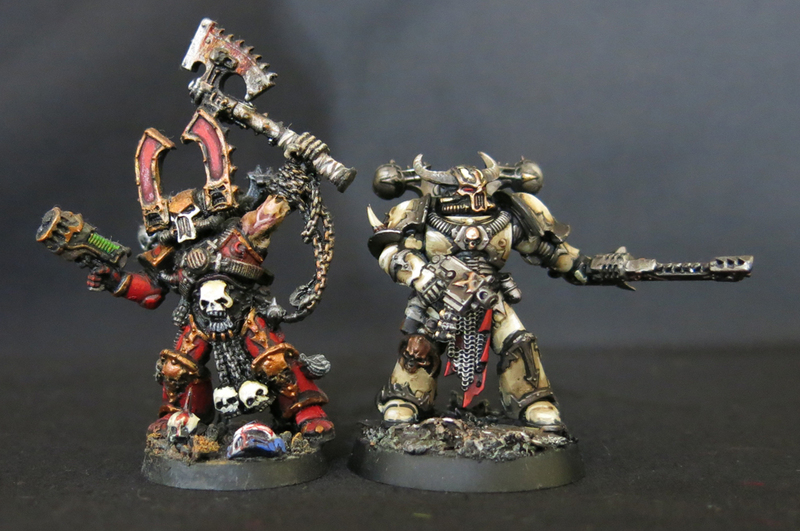 2016 saw the first Primarch making a return (the spectacular Magnus the Red), followed by two more in 2017 (Guilliman and Mortarion). 2018 gave us a bit of a rest, allowing us to become familiar with the new setting whilst turning the focus onto the dark corners and less explored parts of the galaxy, the shadows where Inquisitors roam and mighty heroes are few and far between. Thus, much like buses, after waiting thirty years for a Rogue Trader, this year we saw two of them come along at once, accompanied by a whole host equally interesting, but traditionally sidelined, characters; from mutants to death cult assassins, ratlings to navigators and beastmen to dogs. 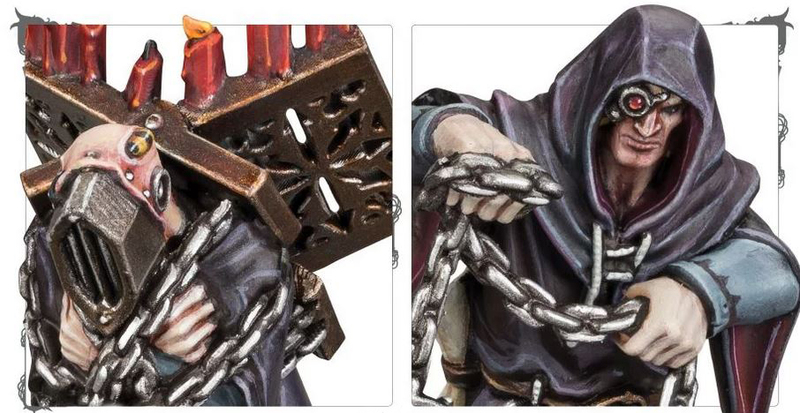 Who, at the start of the year, would have guessed that GW could reveal both a glimpse of the Old Ones and an actual Man of Iron, and what’s more do so to almost universal acclaim? My own relationship with 40k as a game remains complicated. Much as I love the setting, and building armies to fit within it, the game itself still fails to engage me. My heart as ever belongs to small-scale, “crunchy” games, which is why I’m being drawn ever further into the embrace of Necromunda. Thus the arrival of Kill Team did manage to excite me as a chance to engage with smaller, character driven, forays into the 41st Millennium, rather than the sprawling maths-fest of 40k proper. As yet I’ve not given the game itself a shot but the idea of creating some teams is certainly compelling, as is the opportunity to dip a toe into some of the factions which don’t engage me sufficiently to build a whole army around. For instance the likes of the Dark Eldar, Tau or Necrons have never really interested me but the chance to make a little Kill Team and see what I make of them could be a lot of fun. A plucky band of heroes who could someday become an Imperial Guard Kill Team, if only that Catachan would get off the phone! Speaking of games which sound like they might be fun to play this year saw new editions of both Lord of the Rings and Adeptus Titanicus. Lord of the Rings has always been something of an oddity for me. I grew up with the books, indeed some of my formative memories are of my dad reading me the Hobbit, and later Lord of the Rings, when I was a child, something which undoubtedly paved the way for my love of fantasy and science fiction. The Lord of the Rings films remain some of my all time favourite movies, and are amongst the few films I’m happy to re-watch on a semi-regular basis (less so the Hobbit films which were a little hit-and-miss, although when they got it right they too proved to be outstanding). Thus I do find myself wondering why, given my love of Tolkien’s worlds, and my even greater love of painting miniatures, I’ve never been that interested in painting Lord of the Rings’ models? Admittedly some of the sculpts are less than impressive but some are truly outstanding, and from everything I’ve seen and heard the game itself looks like a lot of fun to play, but beyond the occasional brief flash of enthusiasm the thought of painting any models for it rarely raises any more than a mental shrug. I do have a heap of goblin town goblins lurking amongst my hobby stuff, but in typical fashion I’ll be converting them into Necromunda mutants. That said I did recently receive a warrior of Minas Tirith as part of a bits drop sent by the inimitable IRO so who knows, this could be the start of something. Adeptus Titanicus is another game that looks genuinely entertaining. After all have many of us not dreamed of piloting a titan, duelling like metallic Godzillas as buildings tumble around us, or simply stepping on your boss’s flash new car on your way into the office? Watching a few demo games online it struck me that this one could be a lot of fun, but luckily the miniatures have failed to really capture my imagination, probably a good thing as the cost is quite eye-watering. Instead I think I’ll stick to things like Necromunda and Blood Bowl, where one can start a new faction without needing to give up food or take up crime to pay for it. Without a hobbit or a titan to my name, here’s a handsome unicorn instead. 2018 was also the year in which Age of Sigmar began to realise its potential, outgrowing the (frankly shoddy and underdeveloped) early years and tapping into the rich veins of creativity that the setting allows for. Morathi became perhaps the first of the established characters of old Warhammer to transition to the new setting without seeming jarringly out of place, a whole faction of ghosts were summoned (including some truly outstanding models) and GW even managed something previously thought impossible and created a faction of Stormcasts that seem genuinely interesting. In one of the standout releases of the year GW completed their elemental quartet, adding the watery Idoneth Deepkin to the firey Fyreslayers, earthy Sylvaneth and airy Kharadron Overlords (and proving at last that Fishmen would indeed get models before the Sisters of Battle). As it stands I’ve yet to dip my toe into AoS properly. For me an interesting setting is one of the most important things when it comes to getting me into a new game and until recently AoS was almost completely lacking in this area. Like 40k the Old World had plenty of dark corners which you could make your own, and thus for me struck the right balance between the potential to develop your own ideas and still having a framework to work within. The “anything goes/make it up as you go along” blank canvass of early AoS was a little too intimidating and so I stuck with what I knew and kept my Skaven and Night Goblins firmly in the dank caves and filthy cities of the World That Was. The new edition however has reinvigorated my interest. At last the world has come alive and I’m finding myself drawn in. Over the last six months or so I’ve found myself increasingly tempted to sell my soul into Nagash’s service and recreate my Vampire Counts army in the Mortal Realms. 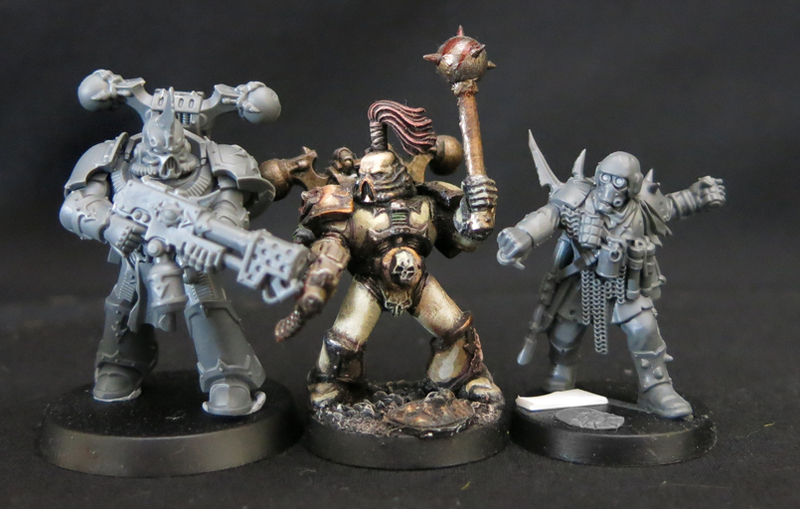 I managed to get my hands on the ghosts from the AoS starter set when they were first released and I’ve enjoyed putting the first few together, so who knows – 2019 could be their year. So what about the developments in my own collection? Tallying up the numbers I’ve discovered that, in 2018, I managed to paint a total of 277 models. This may not equate to the same giddy heights which some hobbyists can accomplish but I’m still rather proud of this achievement, especially as I feel I’ve managed to achieve a reasonably high standard on all of them. It certainly beats (indeed it more than doubles) my 2017 output of 129, even if many of this year’s recruits were the (relatively easy to paint) Night Goblins. Although I like to avoid deadlines as much as possible in my hobby activities I still took the chance to get involved in a number of challenges throughout the year, in addition to my self-imposed goal of “at least one Skaven per month”. Probably the most defining of these, in terms of my own output, were the monthly challenges organised by Azazel, a phenomenon which is fast becoming an institution amongst the blogging community, and which I’m pleased to hear is set to continue in 2019. Once again therefore Azazel deserves a huge “thank you” from me, and if you’ve not been following his blog, or getting involved in his challenges, I strongly urge you to do so. 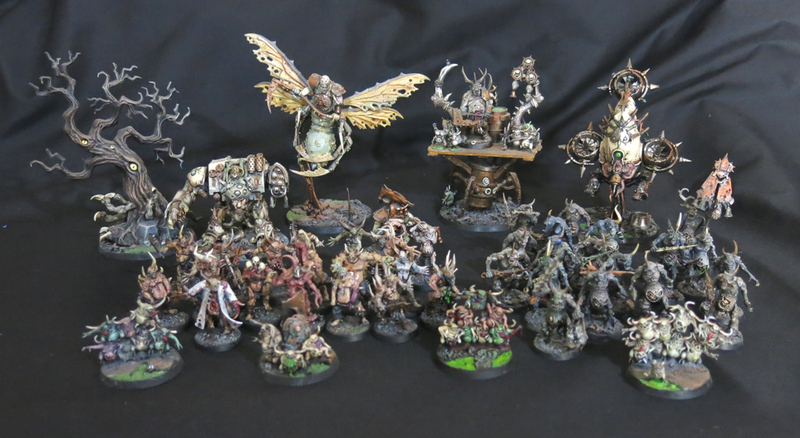 I’m not entirely sure how many models I painted this year that I wouldn’t have completed without Azazel’s challenges but there’s no denying it was a fair number, ranging from mighty centrepieces like the Screaming Bell to hordes of little Night Goblins. May, for example, was Neglected Model Month, aimed at encouraging participants to pick up that miniature which had been gathering dust and just finish the damn thing. With this as a spur I managed to complete this heap of chaotic characters, each of which had been abandoned on the shelf of shame for far too long. Meanwhile February was renamed Femruary by Alex of Leadballoony which aimed to encourage us to add some female models to our respective collections. 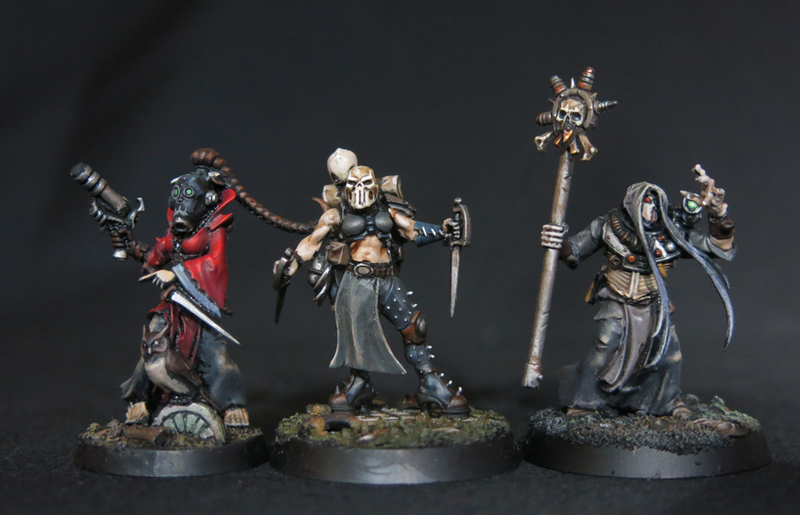 This year I took the opportunity to paint up this little group of 41st Millennium ladies, and I’m already thinking ahead to Femruary 2019, with a heap of unpainted women ring-fenced to tackle. February also saw Big Boss Redskullz putting out a call for genestealer corrupted civilians to take part in the Nestorian Infestation. 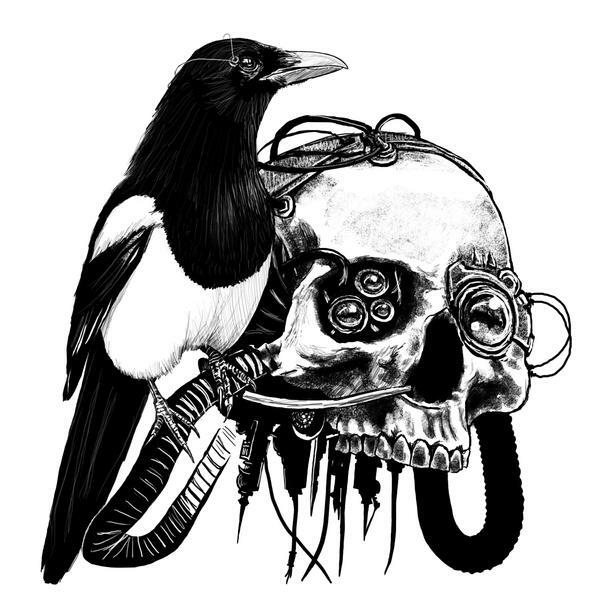 This ongoing project is the product of collaboration between Big Boss Redskullz, Echoes of Imperium and Wilhel Miniatures, and is set around a world overrun by genestealer cultists and the arrival of Imperial forces in the form of the Deathwatch. The whole story has been a joy to follow and it was a real pleasure to be able to get involved. Here’s a few shots (courtesy of the guys themselves) of my models lurking on Wilhel’s beautifully grubby terrain, and probably only moments away from being casually murdered by the Imperium’s finest. Meanwhile at the opposite end of the year Orktober continued the longstanding tradition of greenskin fans building up their collections. Despite being an Ork fan for over a decade now I’m fairly certain this is the first year I’ve actually participated in it, turning out this mob of new recruits for the Waaagh! 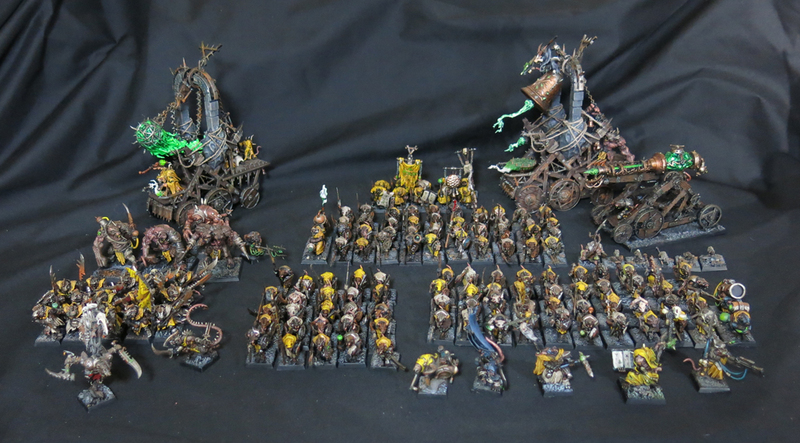 I’ve already shown you the current state of my Skaven army but I’m not ashamed to show it off again (although you can read the full story here). Their dominance of the tunnels won’t go uncontested however as a green menace has begun to emerge in the form of a growing clan of rapscallion Night Goblins. Most of these were painted in September and October which goes to show what one can achieve if one put other projects aside and focuses one’s efforts. Speaking of Night Gobbos I’m sure it comes as no surprise to many of you that, having seen the latest previews from Games Workshop, I’m already planning to expand my greenskin horde in the new year. 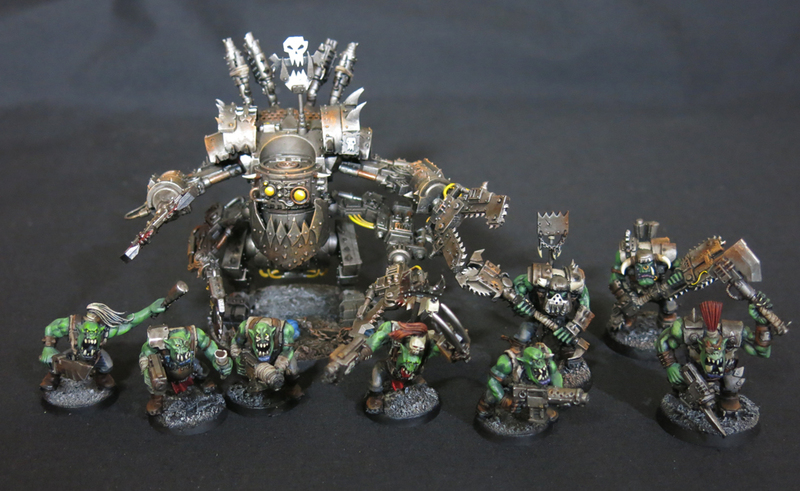 They are not the only greenskins I’ve worked on either as, in the grim darkness of the far future my Ork Waaagh! continued to gather in strength. 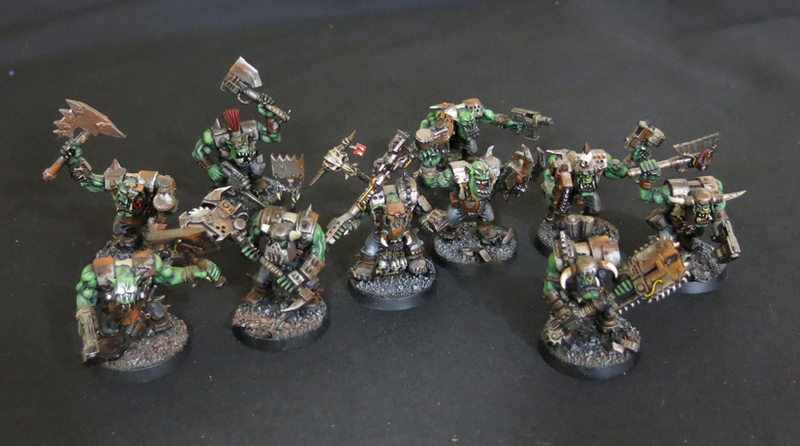 Since the end of Orktober I’ve only managed to add a single Ork nob to my collection so this image still shows almost the full extent of the army. 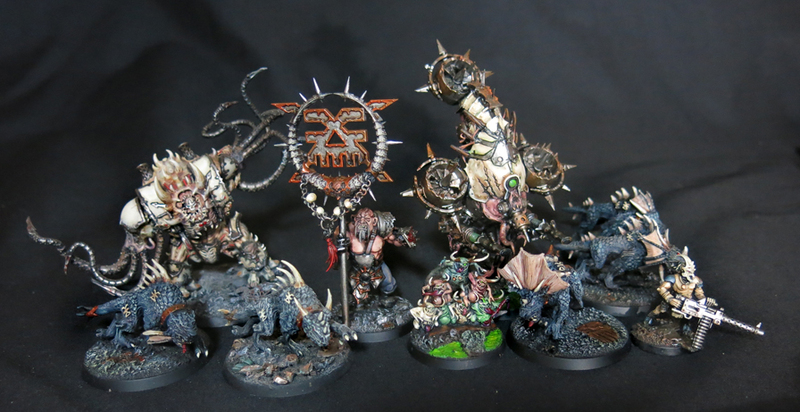 That said when I finished the aforementioned nob I also completed his squad and as I never took a group shot of them all together at the time here’s one now. Greenskin fans will be pleased to hear that there are still plenty of Orks and Goblins on the painting desk waiting for attention so expect further additions to both collections in the new year. 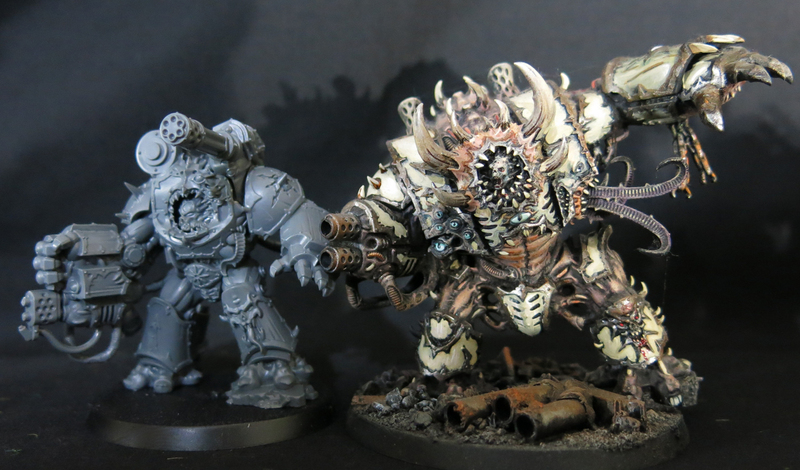 Of course whilst some of the older models have been banished to Nurgle’s garden a host of new recruits have crawled from the plague pits in the form of a growing hoard of poxwalkers – and you can definitely expect to see a lot more of them in 2019. Faced with such a foul hoard it’s a good thing that the Imperium has received reinforcements in the form of a growing number of space marines, imperial guardsman and even a dog. 2018 has also been the year in which I’ve really started to take an interest in Necromunda. Regular followers of the blog over the last month or so will have seen me painting up a gang of Genestealer cultists with which to carve out a corner of the Underhive in the name of the four armed emperor. 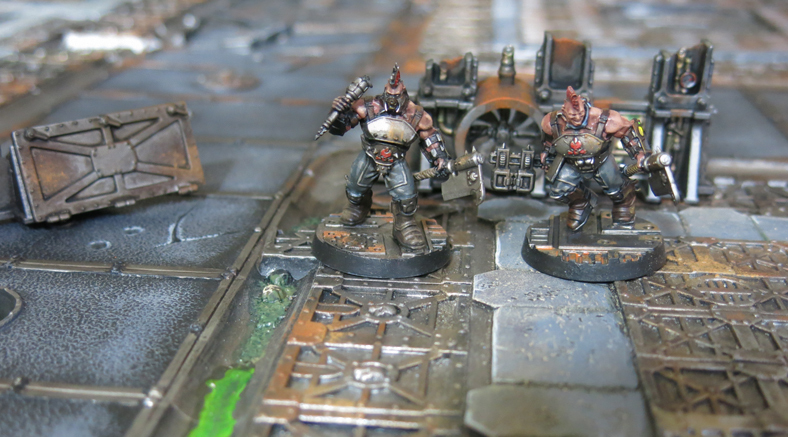 Their foul xenos scheming will not go unopposed however, with the muscular men of the Goliath Irondogs gang standing ready to defend their turf. The Ladykillers of House Escher are slightly further behind, boasting only six (exceptionally well dressed) ladies so far. Expect to see them undertaking a recruiting drive early in the new year. Finally I also started work on a large terrain project for Necromunda. With each piece being so big this is taking me a while to produce but fear not, a desolate industrial hell will soon be revealed. As noted above I don’t usually go in for setting myself strict targets when it comes to my hobbies, after all the aim of the exercise is to relax and enjoy myself. Deadlines are for work. That said here are a few things I’d like to do in the coming year. Skaven; as mentioned previously I’m now at a point where I have pretty much everything I want for my Skaven army (unless of course Games Workshop decide to release some new models for the rats – no harm in hoping eh!). All that needs to be done now is to get them painted. Getting it all done by the end of 2019 looks quite achievable if I just knuckle down and get on with it. Necromunda; this one almost goes without saying but you can expect to see plenty more of the denizens of the Underhive coming up. 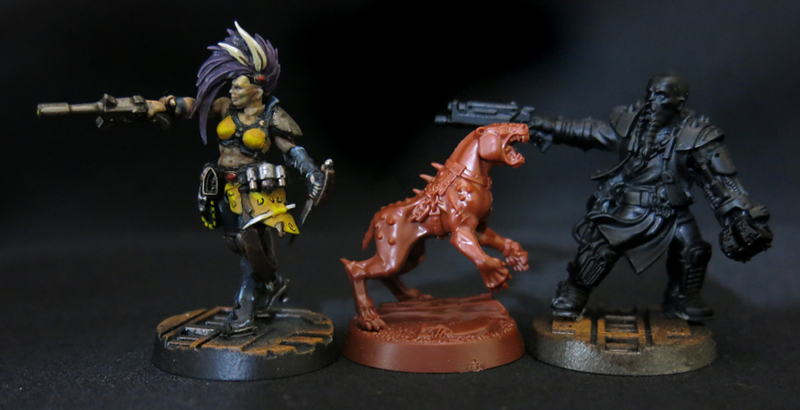 I’ve got another Goliath I want to finish, a few Eschers to work on plus various bounty hunters, scum and hangers on. I also have several new gangs planned, although I’m not sure which I’ll start with first but it’s safe to assume there will be plenty more of them appearing in the coming months. Terrain; this is a big project and as a result slow going. Nonetheless I’m keen to crack on with it and aiming to get it done in 2019 should be the spur I need to make sure the project doesn’t stall. Chaos Knight; speaking of larger projects, it seems that every year I think “let’s get the Chaos Knight done this time” and every year it gathers another layer of dust. This time though right, this time I mean it! 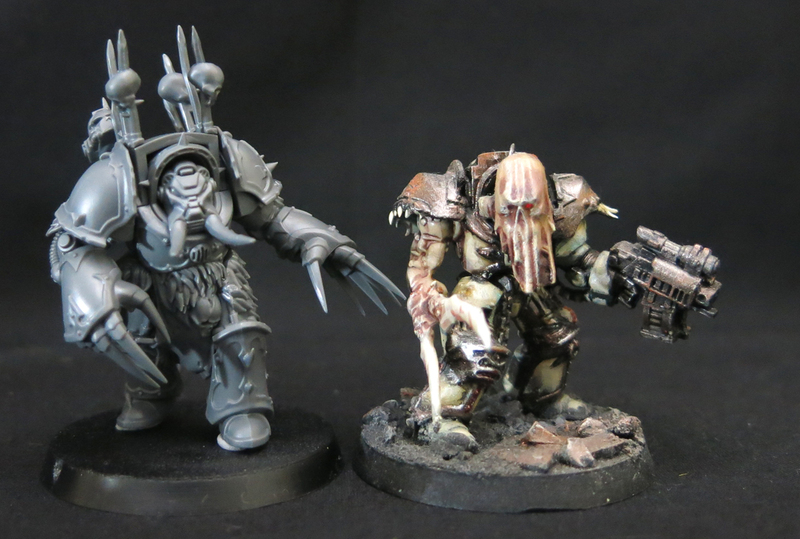 Poxwalkers; a hoard of part-built/part-painted plague zombies is currently occupying my painting desk. Wouldn’t it be nice if they were all finished instead? Blood Bowl; I know I’m about 20 years behind everyone else but I do like the look of Blood Bowl, I’ve just never got around to painting a team. Will I do it in 2019? I’m sure with people like Faust to chivy me I’ll get something done! Of course only time will tell how many of these goals I actually managed to achieve, or whether some of the other projects I have planned manage to seize the entirety of the limelight. Lastly I’d like to wish all of my readers a very happy New Year (there really are an intimidatingly large number of you now!) and to offer a particular thanks to everyone who has commented, offered feedback or encouragement, or just appealed to my ego in 2018 – here’s to plenty more hobby shenanigans in the coming year.